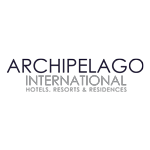 Archipelago International, a leading Indonesia-based hospitality management company, closed 2018 with significant growth in its online direct booking revenue. Compared to previous years, growth in 2018 surpassed the previous year by 50%, with an impressive 172% revenue growth since 2016. Archipelago International, a leading Indonesia-based hospitality management company will support the single, largest global warming awareness initiative, Earth Hour, by switching off non-essential lighting in its 140 properties, on Saturday, 30 March, for one hour at 8.30pm local time. Archipelago International has today announced the opening of favehotel Sidoarjo in East Java - the 51st favehotel property in the Archipelago International portfolio.